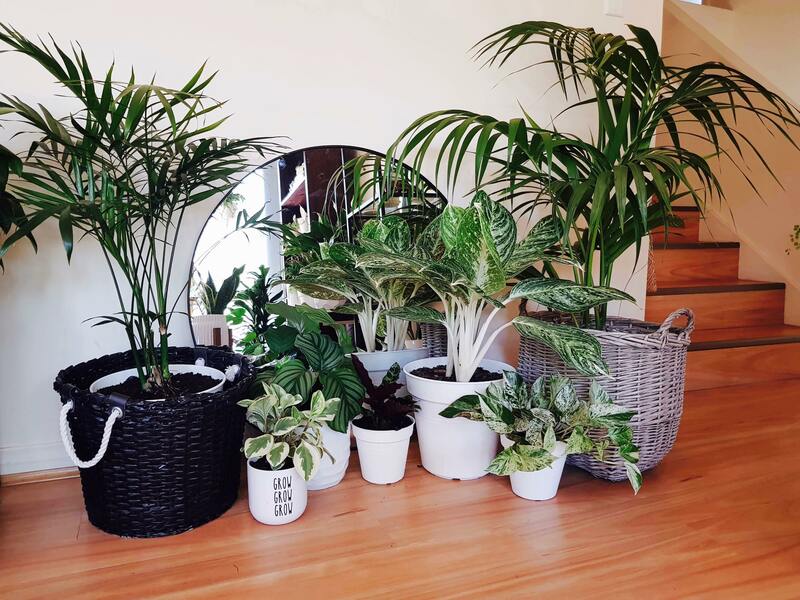 What is so good about houseplants? 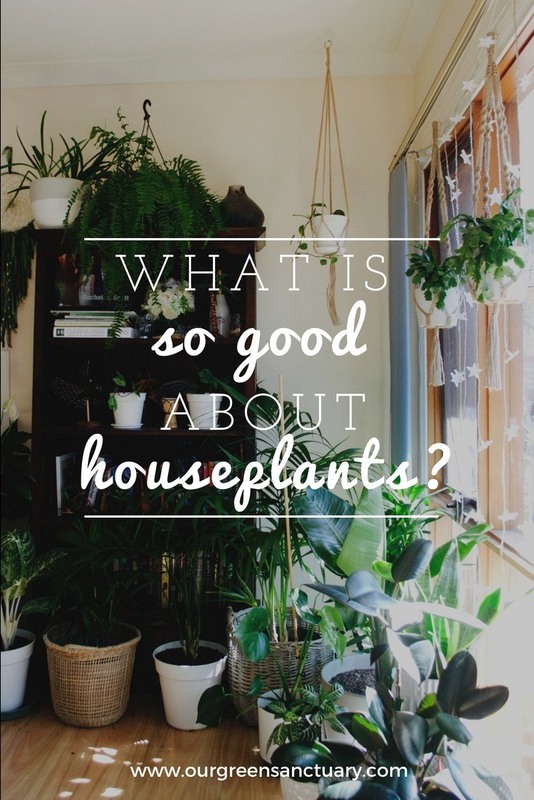 What is so good about houseplants? Why do plants make people happy? They certainly make me happy, so I decided to find out. There’s actually tons of recent research that puts science behind the reasons people love placing plants in their homes. Plants have the power to improve health & wellbeing. More and more of the population live in an urban environment and are spending up to 90% of their time indoors. We as Humans have an innate connection with nature, which is sometimes ignored in our day to day lives. A simple small group of plants can liven the dullest of spaces, and make even the tiniest apartment feel more like home. So how do plants improve air quality? 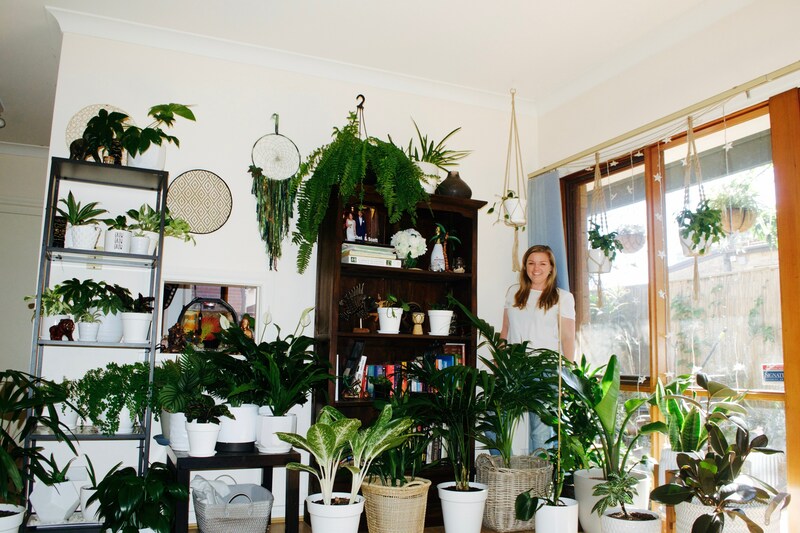 There is still a common misconception among the general public that plants shouldn't be kept indoors because they think plants take oxygen out of a room. I can tell you, this is definitely not the case, all plants release oxygen and absorb carbon dioxide. Essentially, the level of improvement in air quality depends on the type and size of the plant. You can read about NASA’s widely published study defining their top 10 plants for improving air quality here. How do plants help to improve wellbeing? Wellbeing can be defined as the state of feeling comfortable, healthy or happy. Evoking feelings of relaxation, inspiration and positivity. According to the research completed for plant life balance, the total number of plants combined with the variety of plants is the key to offering these benefits. I think I've got a pretty great balance below. This space is our green sanctuary, and thats me. I often sit on the couch and stare at this awesome collection of plants. I've taken the living room quite literally! There are 39 plants in this space. So how many is too many? If you search anything related to plants on instagram you'll find there’s millions of homes and apartments filled to the brim with plants. Georgina Read from The Planthunter says “Go wild with plants”. I love this sentiment and agree wholeheartedly. I suggest starting with one and growing your collection gradually. Once you develop a routine of watering and maintaining your plants, having your own indoor garden will be providing great benefits. Georgina Read and the Planthunter crew worked with Horticulture Innovation Australia to add a bit of style to this research into a new app plant life balance. The app combines the research with a virtual reality interface for the user to style plants in their space. It can even generate a plant list the user can save to refer to at their local nursery. The research panel created a simple rule of thumb to help people get started adding plants to their homes. Plant life balance also offers eleven different themed looks like the one below, to help inspire the would be houseplant enthusiast. 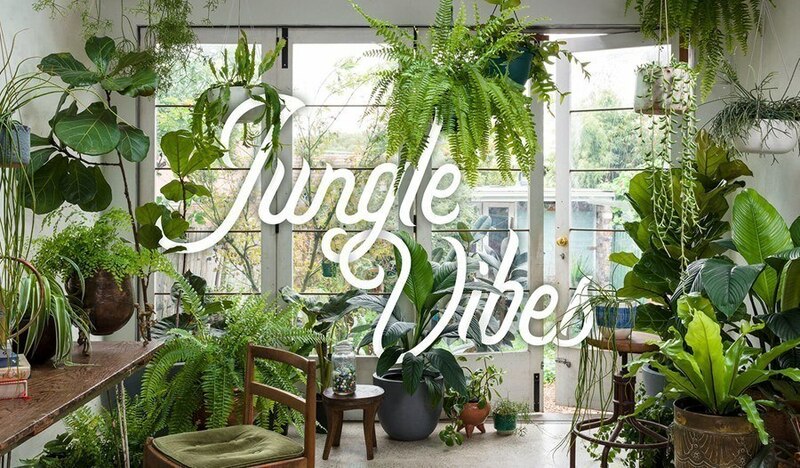 Ready to start creating your own urban jungle and styling your home with plants? You are in the right place. Below you’ll find a link to join our newsletter, links to other blog posts and above use the site navigation links for plant profiles and more. We’re here to help you with simple gardening advice for house plant enthusiasts. Got a question? Drop it in the comments below. Dig in! Houseplant advice straight to your inbox. Simple gardening advice for houseplant enthusiasts. Get your copy of the houseplant cheatsheet now! Simply enter your name and email below and we'll send you the link to download your free copy now. 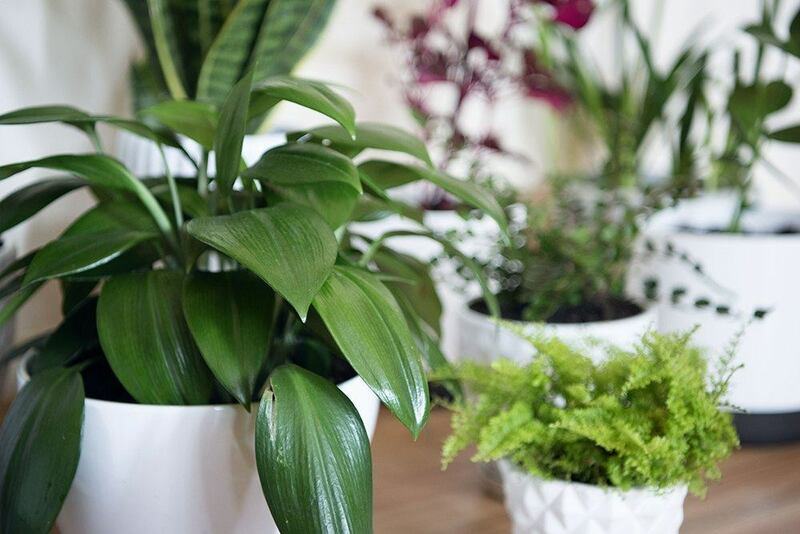 How to add Houseplants to your home & office.